Tomorrow, at 11 a.m., inmates at San Quentin State Prison will have the rare opportunity to see thirteen of their peers performing in Shakespeare’s romantic comedy “Twelfth Night.” As part of the invited Bay Area press, ARThound will be attending too. The inmates, under the direction of Marin Shakespeare Company’s Suraya Keating, have been studying the play, creating characters, learning lines, practicing songs and dance moves, and preparing for the performance for the past 10 months. The script is adapted by Marin Shakespeare’s Managing and Artistic Directors, Lesley and Robert Currier, and is set in the 1960’s with music from the Beatles, Rolling Stones and others. 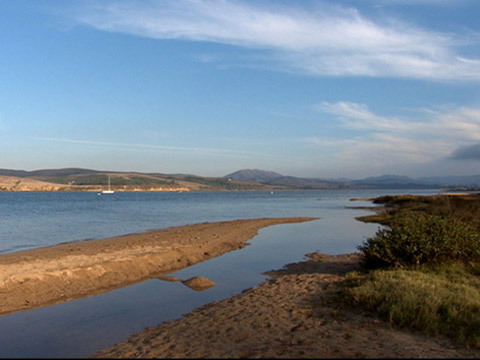 The Marin Shakespeare Company, which performs at Dominican University’s Forest Meadows Amphitheatre each summer, added the Shakespeare program at San Quentin to their array of education programs in 2004 and every year, the Company has offered weekly classes to inmates culminating in an annual performance. The teachers who have worked with the inmates have found the men eager to learn. Keating, who also teaches for Marin Shakespeare Company in public schools and summer Shakespeare camps, has a Masters degree in art therapy and experience working with incarcerated youth. For the past two years, the program has also involved Drama Therapy students, who have interned with Keating and participate in the productions. The cast is joined this year by interns Brent BC-Harvey and Elizabeth Keller, as well as Lesley Currier, who has performed with the men over the past eight years. “I welcome the opportunity to lead the actors into a deeper exploration of Shakespeare’s characters and stories. The men are hungry for Shakespeare,” Keating said. 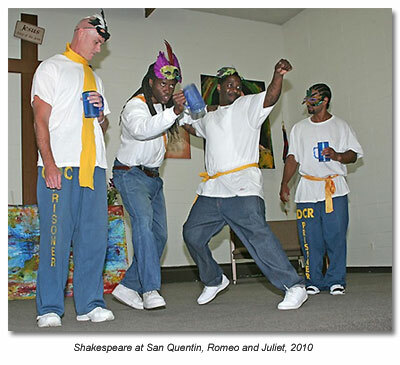 “Shakespeare actors are role models within the San Quentin community, demonstrating that even behind bars men can continue to set goals, learn new skills, and become better human beings. 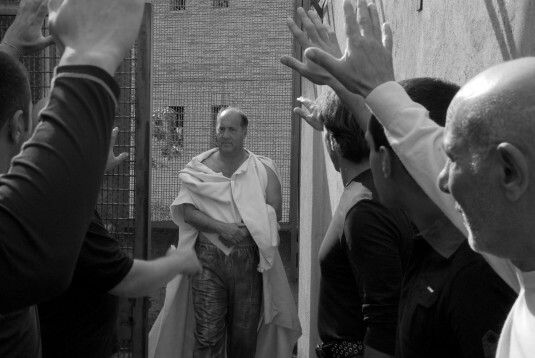 Shakespeare at San Quentin is just one more way Marin Shakespeare Company is bringing Shakespeare into the lives of a variety of people,” Currier added.